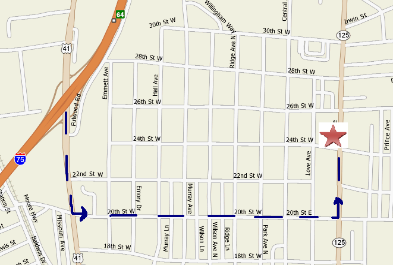 Directions to 2402 and 2406 N. Tift Ave.
Go approximately 0.2 miles, property is on left. Approximately 5 minute drive – traffic not a factor. Crawford E. Little Construction Co.